I have been playing this game for about 5 years and I have enjoyed it every time I play. 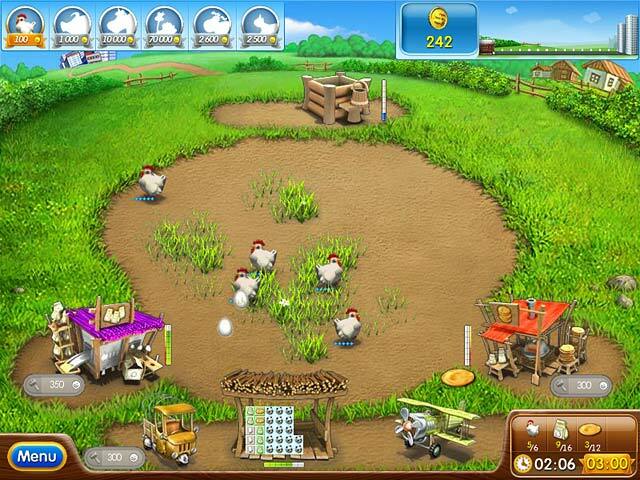 The Farm Frenzy games are among my favorites - I never grow tired of them. I like that you can go back and try for gold on each level - especially since some levels take a lot of timing (but I've gotten gold on all levels several times now). It did take me a long time to determine when exactly the bears were coming - until then, I lost a lot of animals. (Hint: there's a shadow). Even though there are a number of Farm Frenzy games, the wide differentiation of animals and types of villian animals makes it fun for me. And I like how you can click on the surprise appearance of fun animals (like coming out of a manhole cover in the middle of the field). Farm Frenzy(s) are my FAVORITES!! 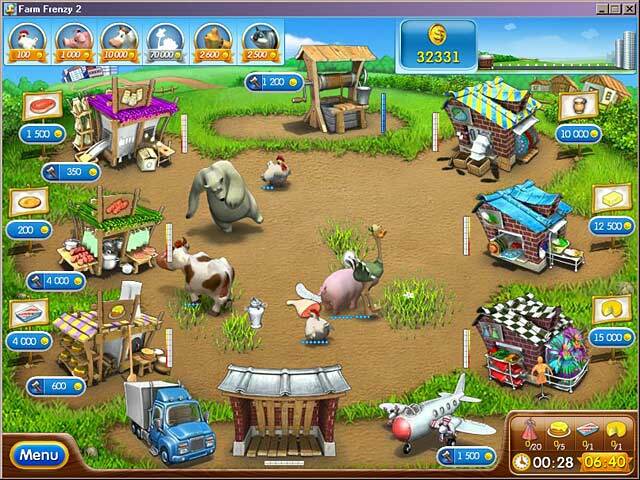 I love all of the farm frenzy games - and this one was fun and a bit different from the others. I higly recommend all of the FF games unless you hate being addicted! I love all the farm frenzy games and this one doesn't disappoint. 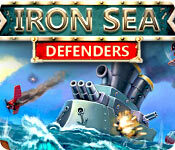 They are interesting, challenging and there is plenty of game play for your money. 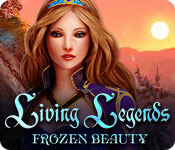 Once you have finished all levels you can go back to beat your score. A very good game , challenging with cute animals and interesting products to make. 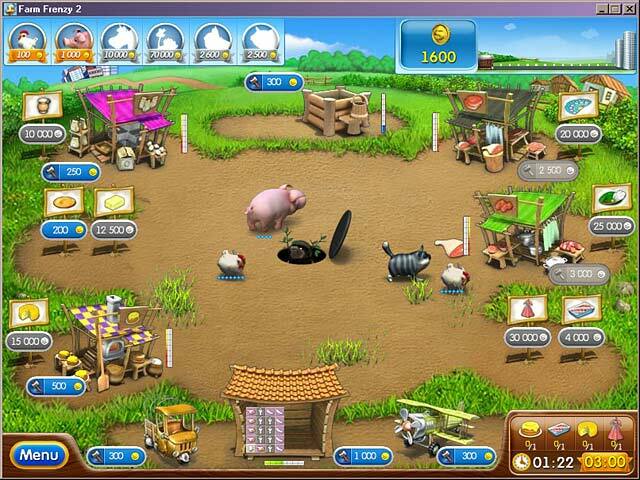 Maybe one of the best games in the farm frenzy series, in my opinion.